Your life and mine might not have turned out so well without the heroism of people like 15 year old Joe Read. 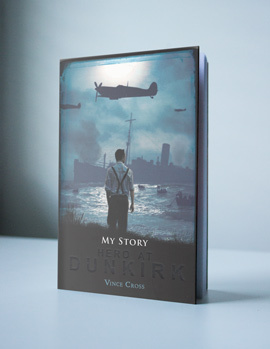 This is the amazing and true story of how Joe and his dad helped rescue hundreds of soldiers from the beaches of Dunkirk in 1940. If you watched the flotilla on the Thames for the Queen’s Diamond Jubilee you may have seen their boat the ‘New Britannic’ now newly restored. 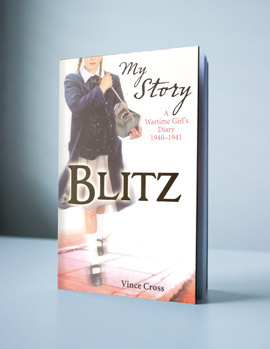 I’m Vince Cross, and I’ve been learning my craft as an author and musician for more than three decades. I write books for children, and compose music for them too. I blog about walking and spirituality. I produce music and speech for English Language Teaching courses worldwide. I’ve also been a teacher, a session pop musician, the manager of a recording studio, the director of music for a church, a writer and composer of radio and TV commercials, jingle packages, incidental music for TV…even stage musicals. I like what I do and the people I do it with. Be a part of my world by reading my books, or commissioning a new one. Here are some books of mine you might like to read. All of these books should be available through Amazon and similar suppliers, and they may be in your local library too. 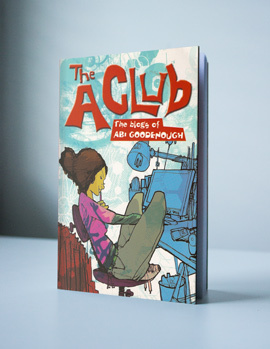 ‘The A Club’ is out of print, but if you would like a copy, please contact me, and we’ll work out a way of getting one to you. Edie Benson is my personal favourite character from these books, probably because she reminds me of some of my own family. I was born not very far from Lewisham in south London where this story is set. Read about how Edie and her family deal with the trauma of the nightly bombing and find an inner strength they never knew they had. 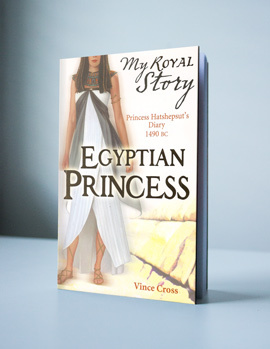 Like many people, I’ve always been fascinated by the ancient Egyptians and how they lived. My character ‘Asha’ is the real life Queen Hatshepsut, the first female Pharoah. I’ve re-invented her as an early ‘free-runner’, and imagined how she might have come to power as a young teenager somewhere around 1500 B.C. Someone suggested that the language in this book sounded too modern. That’s the point, I think. These people were both astonishingly like us, and completely different. Abi Goodenough is a clever girl, there’s no doubt about that. But her friends, teachers, parents and just about everyone else she knows all want a big piece of her. Why can’t they see she needs some time and space for herself? As Abi’s problems pile up she uses her blog to tell the story of three hectic months in her teenage life. Andy is confined to his wheelchair after a car accident. 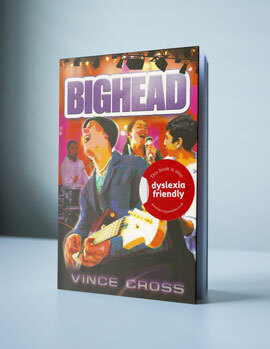 But he’s an excellent guitarist and despite Andy’s doubts his mates know that their band BIGHEAD can’t function without him. Will they win the Battle of the Bands and go on to fame and fortune? 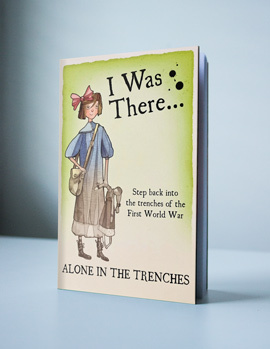 This is a short book for those who find reading more difficult. 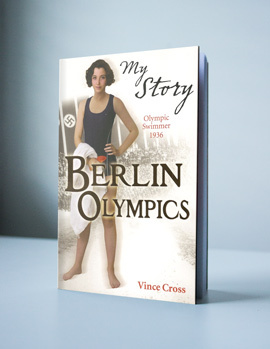 I wanted to write a book for Britain’s Olympic year. It’s set in and around pre-World War II London, before my heroine Eleanor goes off to swim for Britain in the 1936 Berlin Olympics. If you’re interested in the history of sport and the rise of Nazi Germany you should like this. A great offer from Scholastic Books. 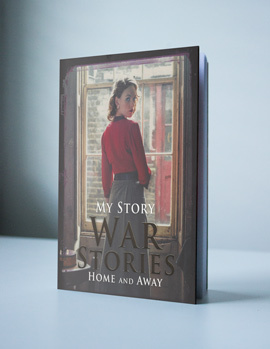 My Blitz story about Edie Benson bundled with Sue Reid’s War Nurse and Jill Atkins’ Sophie’s Secret War. Three books in one! Learning a new language can be fun! For more than thirty years leading ELT publishers like OUP, York Press, Pearson and CUP have asked me to write and record music for their world-spanning teaching courses. I haven’t counted exactly, but I think I’ve set more than seven thousand sets of primary-level lyrics to music, plus making ‘cover versions’ of nearly eight hundred chart hits adding excitement to courses for teenagers. I still spend a lot of time writing and recording music. My output has included backing well known singers, composing for TV and film, recording jingle packages, commercials and library albums, writing stage musicals for Butlins Holiday Camps, playing the church organ and conducting choirs. Between times I ran a commercial recording studio for nearly ten years. I’m a spoken-word producer too, with a wide range of contacts, including artists, agents and facilities. If you have a project and need some help, I’d love to hear from you. Here are a few songs from the current Music Box Songs catalogue. Enjoy!